Melo’s stint in Houston is finally over. The Carmelo Anthony saga in Houston has finally come to an end. 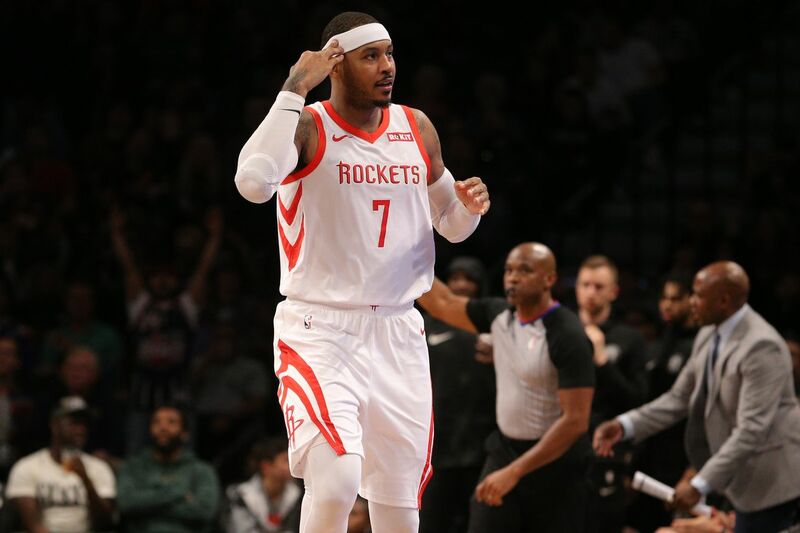 ESPN’s Adrian Wojnarowski has reported the Rockets have agreed to trade Anthony and cash to the Chicago Bulls, ending a season that began with high expectations, only for Melo to be cast away from the team in the middle of the season. Anthony will not play a game for the Bulls, according to Wojnarowski. If they can’t find a trade for him before Feb. 7, they will waive him, allowing Melo to become an unrestricted free agent and sign with any team who wants him. The Bulls absorbed Anthony’s minimum salary into the trade exception they received when dealing Justin Holiday to the Memphis Grizzlies. The deal saves Houston $2.6 million in luxury tax payments, according to ESPN’s Bobby Marks. Those luxury tax payments are a big deal for Houston, as Rockets owner Tilman Fertitta told SB Nation’s Steven Godfrey in a feature story last summer. The repeater tax, though, is probably where the idea that the Rockets are going into a “budget mode” originates: Houston’s $143 million payroll this season will cost them in the range of $25 million in luxury tax. In the repeater, that range would be in the 80 millions. “You have the luxury tax and the repeater tax. Do you understand what the luxury tax can do to you if you’re in it three years in a row? It has another multiplier of three and a half. For every million dollars you’re over, it costs you nine in tax. It’s unbelievable. It’s the difference of making money and losing $60 million a year, just like that,” he snaps his fingers. The Rockets also waived forward James Nunnally to sign Kenneth Faried, who was recently bought-out of his contract with the Brooklyn Nets. Houston can theoretically re-sign Nunnally after the Anthony trade is processed on Tuesday.